From restaurant menus to Korean supermarkets, fermented foods have been gaining interest in both the culinary and health communities. At Drake Commissary, many of their menu items are full of bacteria. It's not the kind of bacteria that will get the place shut down — it's good bacteria, as a result of fermenting their food. Fermentation is a process that preserves food by using bacteria that change the flavour and composition of the product. Executive Chef Jonas Grupiljonas says it's a theme throughout their menu. "Fermentation has been the basis for almost everything we do here," he said. "Starting from the bakery program to the charcuterie to the pickles, we find it's a great way to learn about the vegetables and fruits we're working with." From cured meats to sourdough bread and even fermented chili sauce, Grupiljonas and his team have been busy experimenting with different flavours. "You don't really know 100 per cent the way something will work out, you create the environment for it to flourish in and you guide it that way." Grupiljonas speculates that in a world where many of our meals are mass produced, people are craving dishes that take more time. And as a chef, he enjoys the time and effort that preserving food requires. "People want to know where their food comes from and they care about what they're putting into their bodies." The chef adds that while it may be making a resurgence in the city, fermentation techniques have been around for a long time. Jae Lee is a manager at PAT Supermarket in Mississauga. He says he's been eating kimchi — a fermented vegetable dish — all his life. "It's been a staple food forever," Lee said. "Kimchi is something Koreans eat all the time, especially with rice." He's recently noticed a shift in his customer base, and an increase in the number of people interested in kimchi. "We've been here since 1984, with mainly only Korean customers," Lee said. He said now, many people outside of the GTA's Korean community have been shopping there. "They buy a lot of kimchi, it's definitely increased and it's continuing to increase." 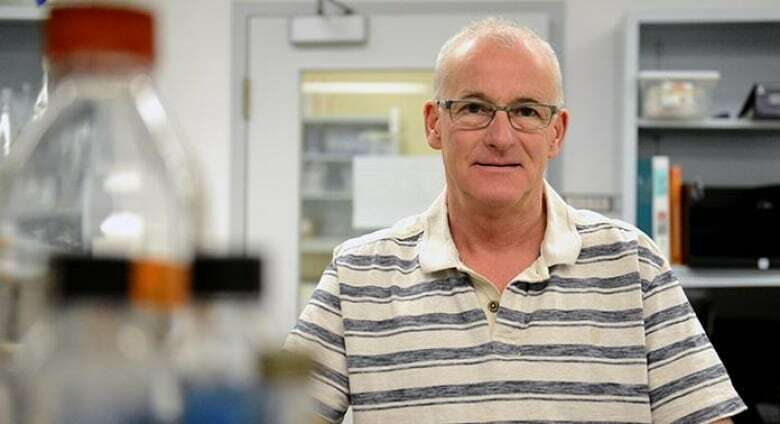 Dr. Gregor Reid is a professor at Western University and a scientist at Lawson Health Research Institute. He says he's happy to see the increased interest in fermentation in the health world. "It's the by-products of that fermentation that we're realizing have important health benefits," he said. "That's making people look at a whole range of fermented foods." Dr. Reid believes some of the interest started with the launch of probiotic yogurt in 2004. "The probiotic launch of yogurt then started people saying well maybe we should try yogurt or try kefir and I think it's grown from there because of this microbiome field that's expanded very rapidly in the last ten years." Dr. Reid has been calling for fermented foods to be added as a fifth category in Canada's Food Guide. "Those by-products through the fermentation process are very good for us through the gut and in fact through the bloodstream and into our whole system." For people interested in trying fermented food, Dr. Reid says to make sure the products are reputable, and that there are in fact living organisms in them. As far as research in the field goes, he doesn't think it's going away any time soon. "I think this field is only going to grow and grow."